Yesterday Jason Phelan dropped a video giving us a look at his new GT Bicycles setup that he’s running. At the end of the video he headed over to Prevail Skatepark for a session, but it cut off before the riding started. That’s because it was a whole other video on its own. Here’s a look at what went down at the session with Jason, Scott Hamlin, Jay Cowley, Ollie Palmer and more all throwing down… and getting severely blinded by the light on the camera. There had been some rumors floating around for a few weeks now that Deluxe was being sold, but there wasn’t anything concrete. It turns out the rumors were true and as of today one of the new owners is the legendary Kris Bennett! Get the details below from the trails brand’s creator, Mark Noble. “I’ve got some big news regarding Deluxe today, which we can finally announce: as some of you in the industry may already know, I have a relatively new job at CSG UK as their BMX category manager, which is a big deal and is going extremely well – working with great people, on great brands, with plenty of varied challenges to do there. However it’s impossible to work on CSG BMX and work on Deluxe at the same time, to really give Deluxe the attention and love it deserves. That’s the bad news. The good news is that, after three months working on a plan and talking to various people and options, I have found safe hands for Deluxe – people who want to develop the products, work with all the existing team riders, help evolve the company, and really invest quality time and care into it. Three American riders are going to be taking Deluxe to the next level – and namely they are: Justin Desko and Roth Desko, and Kris Bennett. Justin rides with Jeremy Ball all the time and has ridden a Deluxe frame for years, Roth resides in CA and rides there, and of course Kris Bennett should really need no introduction. They’re also sound businessmen and so from that aspect, they’re keen to make Deluxe a real success. Deluxe is truly in safe hands, and I wouldn’t have it any other way! I’d like to thank everyone who’s helped get us to this point – the team riders past and present, the designers, the graphic designers, photographers, artists and videographers, the manufacturers of our parts and frames, the distributors worldwide, the bike shops out there, and anyone who has bought a Deluxe product and ridden it. 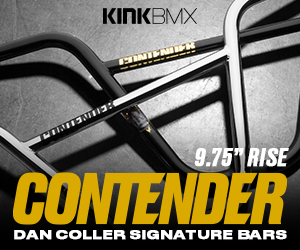 BMX is interesting because there are so many factors that determine the frames and parts we ride. Cost and availability of materials, technology, time schedules, quantity and quality control issues are all things that most of us don’t really think about when it comes to buying something new for our bike. However, those are just some of the things brands have to consider when it comes to making the decision to have their products made in Taiwan, the U.S or anywhere else in the world. Recently, Deluxe announced that Mark Potoczny’s signature PA Model frame would be available in two versions; made in the U.S and made in Taiwan. Over the years we have seen a handful of brands do products between the two and with the U.S option appearing to become more and more appealing of an option for production again, I figured it would be an awesome time to catch up with Deluxe’s Mark Noble to find out what lead to some of the decisions to give the U.S production a run and what kinds of differences we can find between the two production locations. Let’s see what he had to say along with a closer look at both frames! Few people in the game have a NORA Cup on their mantelpiece at home stating that yes indeed, they made the best video of the time. Stew Johnson has such a trophy, and for good reason – Anthem2 was long awaited and hotly anticipated, and the hype built and built all through the filming and production process. The resulting video definitely not only lived up to but far exceeded the hype. And the just rewards came – it sold well (bearing in mind the age we live in and how people consume videos these days), the riders involved enjoyed truly landmark video parts, and then it was unquestionably awarded a NORA Cup. Anthem2 is timeless, an instant classic, and if you don’t own a copy of it in your video collection then you need to examine your status in life. Having spent the best part of 18 years working on BMX videos, Stew now juggles various projects for brands and companies – “I’m currently working on full length DVDs for Dan’s Comp and Fit Bike Co.” – and is going from strength to strength: we caught up with him just after a Dans Comp trip and here are his FIRSTS. Over the years, camera and editing technology has advanced at an insane rate. With all of this new technology, filming and editing web edits and DVD’s has become something that just about anyone could pull off if they set their mind to it for a little while. It wasn’t always as easy as it is today where you can film a clip on your iPhone and have people from the other side of the world checking it out 30 seconds later. 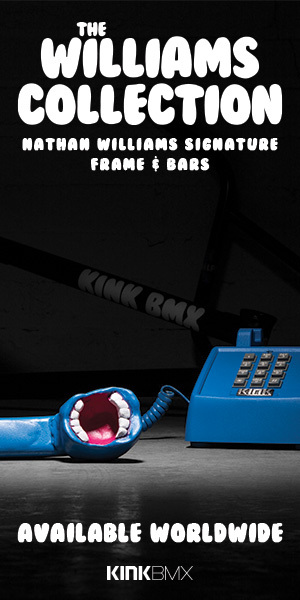 Tom Arkus is one of the guys in BMX who has been producing edits online and DVD’s way back before you had things so easy. With the release of his new Vinyl “LP” DVD, we figured it would be a great time to get ahold of Tom to find out how he got into the film side of BMX. Check out what he had to say in this fresh round of Firsts! One of the most prolific filmers in the industry, Dylan Pfohl’s video output is clearly on a level that is higher than most – he has an eye for detail, a creative edge that makes his work stand out from the crowd, and a portfolio of work that most people who kill for – riders know that if they do something with Dylan, it’s going to be done RIGHT. Dylan’s on top of his game. Let’s get stuck into finding out a new FIRSTS with Dylan. Busy times indeed. Let’s find out how he started in all this, and rewind the clock with Fat’s own FIRSTS. In the past few years, or as he puts it, “For pretty much as long as I’ve been riding, almost ten years I guess,” Mike King has conjured up some of the web’s finest videos – there’s no doubt you’ve sat back and enjoyed his work for the likes of MacNeil (who he also rides for, on their UK team), Amity Bikes, and more recently for the Seventies UK collection of brands where he was in-house filmer for a while, out on trips, hitting contests, and filming edits at their private indoor park. Now branching out into the freelance game again, Mike is also putting some extra focus on to his own web site at FFWDBMX.com and sticking together his new portfolio video site. Says Mike, “I’m trying to put everything I can into Fast Forward, kinda tricky when you’re a one-man army and have bills to pay. I’m also working on a portfolio site and starting up another brand…” So let’s find out where Mike started – here are his FIRSTS.